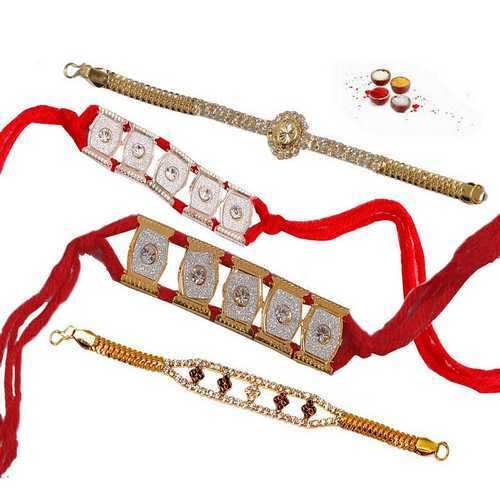 Bracelet rakhis are very popular among people because they look elegant and very stylish. 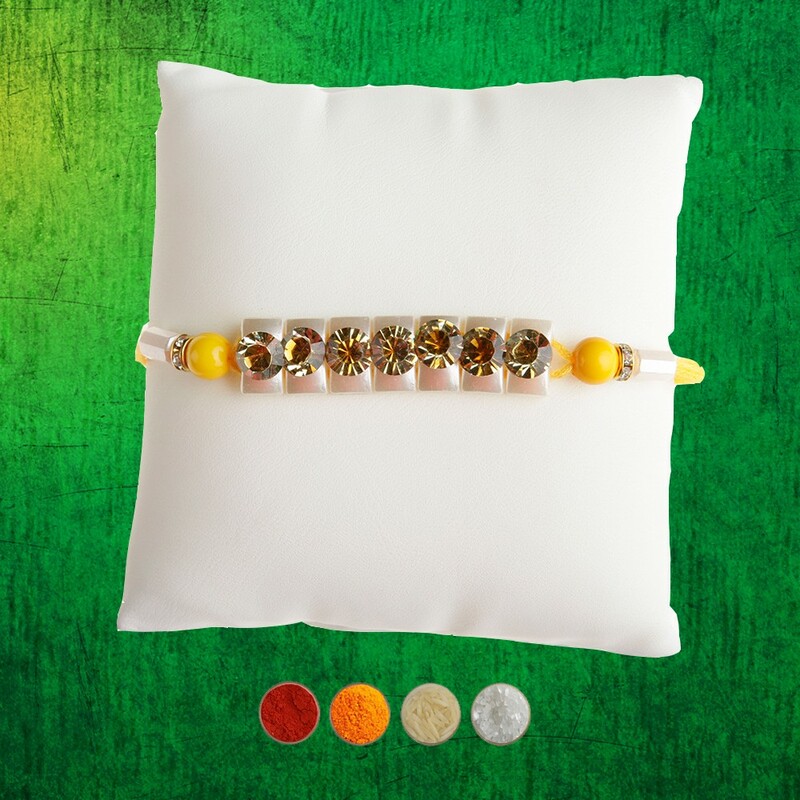 These all stunning jeweled bracelet rakhis are decked with silver and golden chains and diamond aura premium white stones or american diamonds. 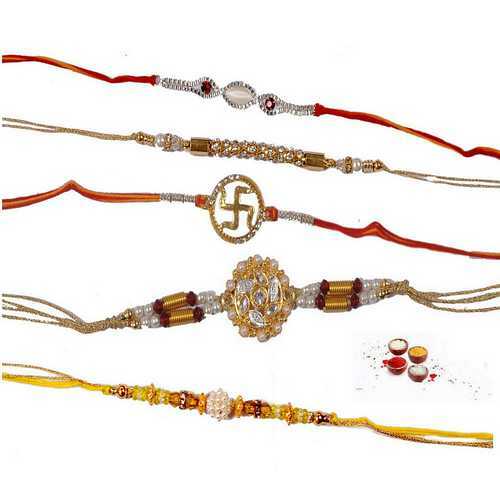 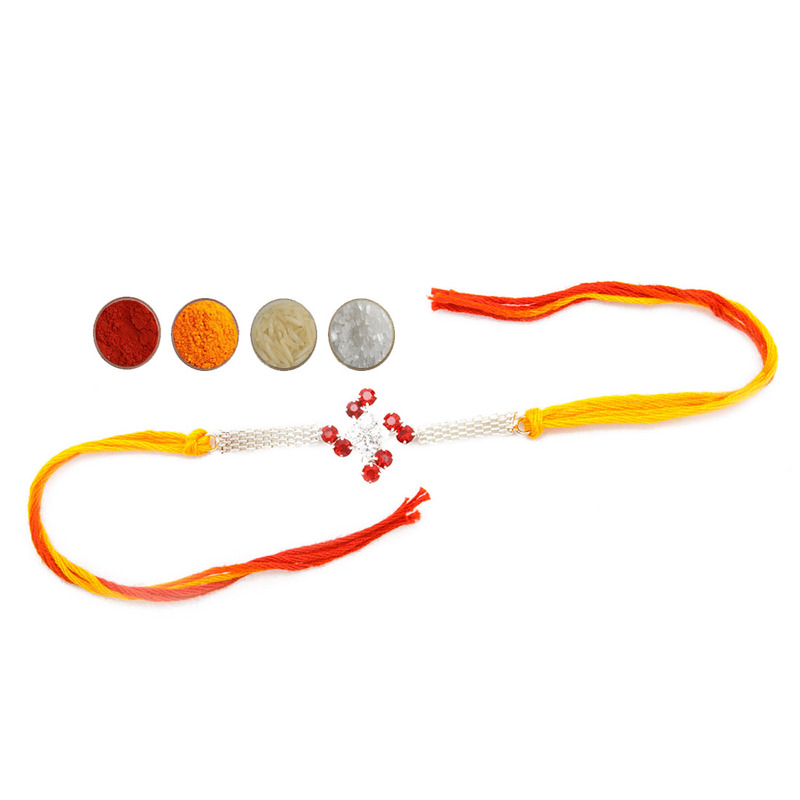 Send bracelet rakhis online to India for your dearest brothers with love and warm whishes. 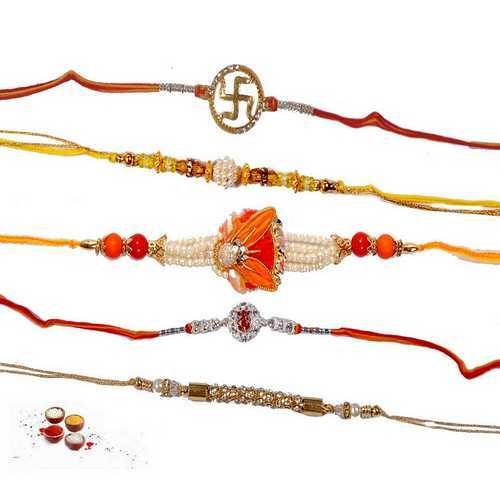 We are offering these bracelet style rakhis with complimentary Roli, Chawal, Chandan and Mishri. 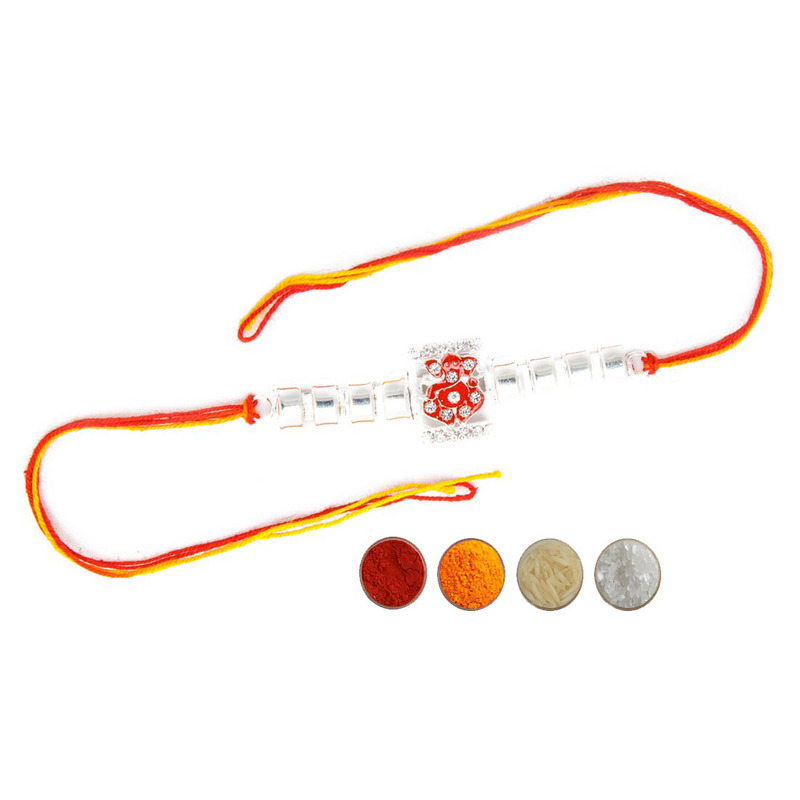 We can deliver these rakhis in almost all the cities and towns of India with free shipping.